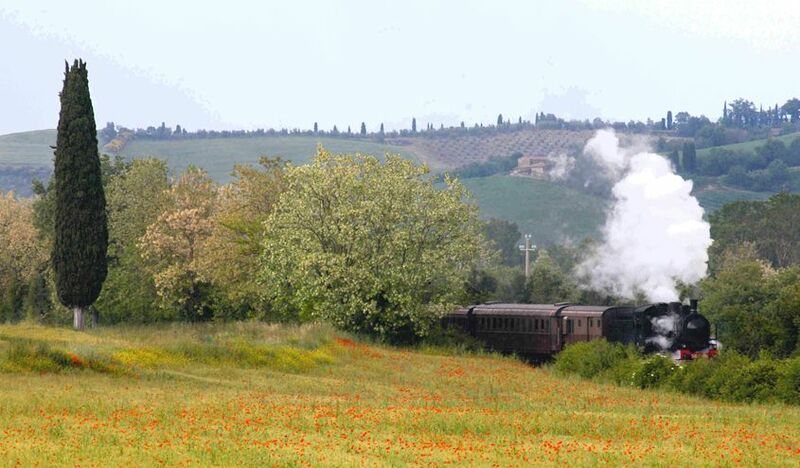 This past Sunday I went on a tour of the Val d'Orcia by steam engine - the Trenonatura. I can safely recommend this excursion to all who would like to do something a little different during their stay in Tuscany. 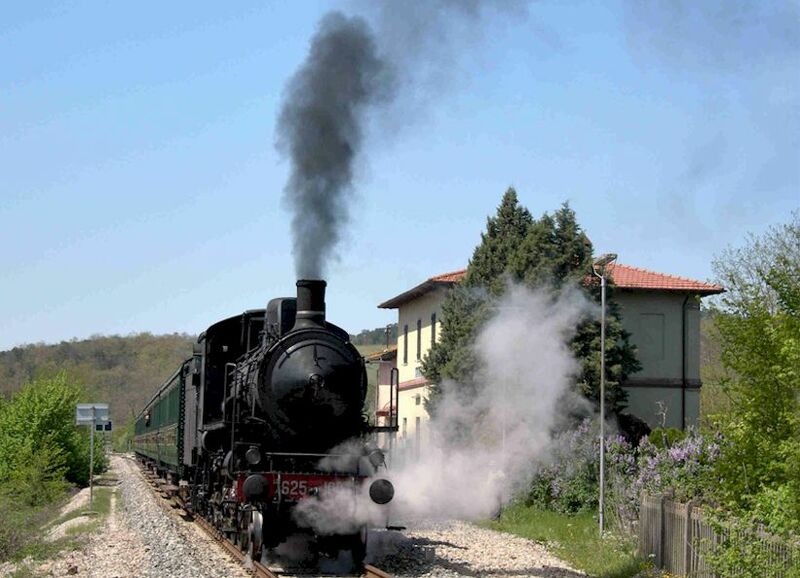 My babbo was a train nut, with the result that some of my earliest memories are of visits to obscure stations and smokey engine sheds to view huge, steaming machines with gleaming pistons gracefully sliding back and forth. This Spring, I decided it was time to go for a ride in a train pulled by one of these splendid monsters. I discovered that the Provincia di Siena and a group of volunteers organise train tours every Spring and Autumn (the risk of fire being too high during Summer). 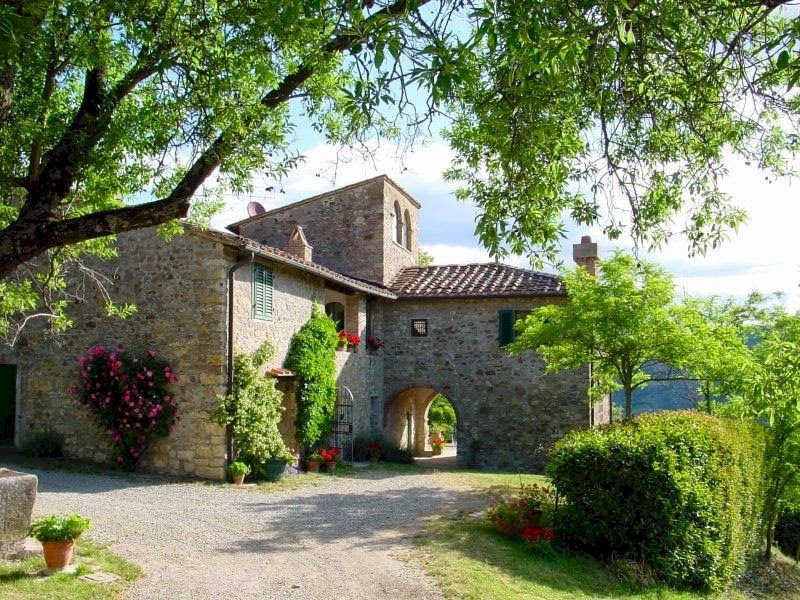 These tours usually depart from Siena and do a loop through the Val d'Orcia, dropping the passengers off for a few hours at whichever town has an interesting event or festival taking place on the day in question. The Trenonatura follows a route through a variety of terrains including the classic Val d'Orcia "big sky" country with views of Monte Amiata, the Crete Senesi, the River Orcia itself and the famous cypress tree clusters and rows that are so popular with photographers. At Monte Antico, the engine is moved to the other end of the train and filled up with water. This occasion provides plenty of photo opportunities for the passengers. Most of the carriages are third class and dating from before World War II. The wooden seats are very comfortable and you have to wonder how the airlines and, for that matter, modern railways have got it so wrong despite the money they claim to pour into seat design. Bring some refreshments, including something to drink, because these are not available on board. My carriage was filled with a merry crowd and a very informative volunteer who provided an interesting commentary both on the train and on the country we were passing through. He was happy to answer everyone's questions. I was surprised to see that on the return route we went a far as Castelnuovo Berardenga at the southern boundary of Chianti Classico. A note on reservations. I reserved my place via email about two weeks ahead of time and paid, as the agency requested, by bank transfer. They never confirmed receiving the payment nor did they send me a confirmation nor any other information, despite multiple emails from me. I phoned them two days before the trip and they confirmed verbally, more or less by chance also giving me my carriage and seat number. My name was on the list when I showed up at Siena station. If you don't receive a confirmation from the agency, my advice is to bring along a copy of your email requesting a reservation plus a copy of the bank transfer, just in case your name isn't on the list. All content copyright © ammonet Web Site Promotion 2012 - 2017. All rights reserved.